SESA is delighted to announce the publication of Ian Syson’s The Game That Never Happened: The Vanishing History of Soccer in Australia. This is a pioneering cultural history of the game in Australia demonstrating that the game has been around as long as any of the other codes of football and is as foreign and domestic as any of them, yet lacks the recognition in the national story that it warrants. The Game That Never Happenedfinishes where many other histories of Australian soccer have barely even started. It begins in the mid-nineteenth century and concludes between the two world wars, when the game suffers from a massive and perhaps crippling collapse. Australian soccer’s prehistory and early history are vital but forgotten stories. If we are ever to domesticate what is still seen as a foreign game by many important historiographical, cultural and media narratives, this story needs to be told. The lie is that soccer is the game that never happened in Australia. That lie needs to be demolished. 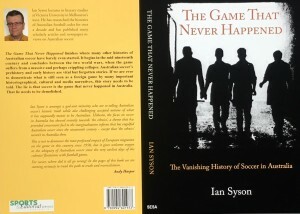 Ian Syson is amongst a god-sent minority who are re-telling Australian soccer’s historic truth while also challenging accepted notions of what it has supposedly meant to be Australian. Hitherto, the focus on soccer in Australia has skewed errantly towards ‘the ethnics’, a theme that has provided convenient fuel to the marginalisation inferno that has engulfed Australian soccer since the nineteenth century – except that ‘the ethnics’ weren’t in Australia then. This is not to denounce the most profound impact of European migration on the game in this country since 1950, but it gives welcome oxygen to the ubiquity of Australian soccer since the very earliest days of the colonies’ flirtations with football games. For soccer, where did it all go wrong? In the pages of this book we are starting seriously to tread the path to truth and reconciliation. 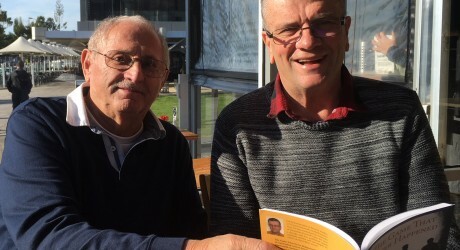 Ian Syson lectures in literary studies at Victoria University in Melbourne’s west. He has researched the histories of Australian football codes for over a decade and has published many scholarly articles and newspaper reviews on Australian soccer. The book will be launched in August and will be available from all good booksellers via Dennis Jones and Associates at an RRP of $29.95. 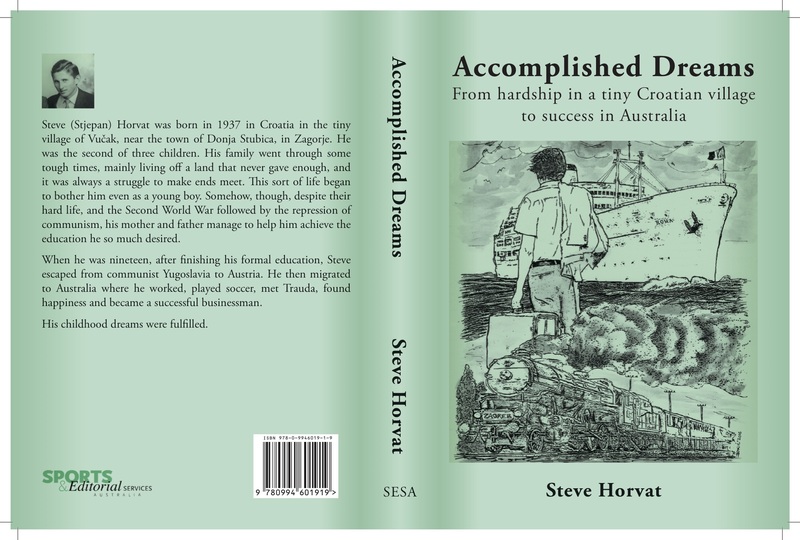 The lead picture has two SESA authors, Steve Horvat author of Accomplished Dreamsand Ian Syson with the latter’s book at Sailors Rest on the Geelong waterfront in June 2018.